Who Calls the Shots: TV Manufacturers or Content Providers? Getting the top-of-the-line TV viewing experience used to be easy. A consumer would buy a TV, hook it up to their cable- or satellite-provided box, and immediately have the highest quality content. But the quality standards previously set by linear TV providers continue to dissipate as streaming content becomes the new normal. The wild west of streaming is here for the foreseeable future, and it’s causing confusion. Thanks to the growth of OTT subscribership, cord-cutting, and content providers, the un-standardized quality atmosphere is negatively affecting both OEM device manufacturers and consumers. 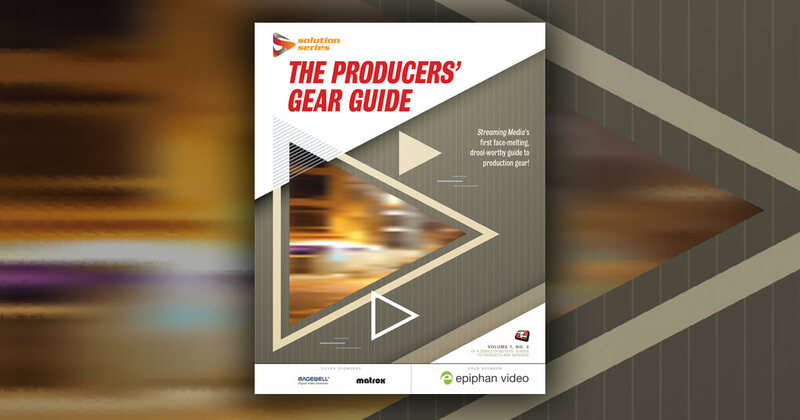 Essentially, the pace of innovation to deliver high-quality content is now being driven by content producers, instead of the providers of the feed, or delivery device. With competing codecs and differing approaches to UHD content, we have created an environment that is confusing for the consumer, who still wants to buy the best TV. Video used to start first at the big screen: movie theaters. From screen resolution and colors to 3D effects, we saw things there first, which influenced our broadcast expectations. After a while the changes ended up on VHS, DVD, Blu-ray, or online video. Then, content creators and even the FCC came in and said that everyone in the U.S. needed to shift to HD, a new baseline standard for the industry. Today, the innovation paradigm is flipped, because online video often gets the content first, particularly with the emergence of ultra-high definition/4K—which means that TV manufacturers have to significantly alter their approach regarding what video source will drive technical innovations. For example, YouTube was one of the first content sites to support 4K video in 2010. That was before 4K TVs were available for mainstream audiences. In fact, only this year did 4K TVs even begin to support YouTube’s VP9 codec, allowing users to stream their own UHD content. But, this is causing problems since content producers and providers can't agree on standards for graphic-based quality enhancements. Groups such as the UHD Alliance, the Alliance for Open Media, and the Streaming Video Alliance seek to create standards, but unless there's industry unification, consumers are going to keep paying the price, quite literally, for the chasm between content providers and OEMs. The wild west of streaming is seriously affecting the consumer's wallet. That's because now you don't just have to invest in getting a good TV, but the cost of premium OTT services, broader Internet access, routers, and more. Here's what I mean: First, if you want a 4K television, there is an additional premium to view the relatively sparse library of available UHD content, depending on the preferred streaming service (i.e. Netflix, Amazon Prime). If you’re invested in some form of linear TV subscription and still subscribed to OTT applications such as Netflix or Hulu, that’s an additional cost. Recently, DirectTV announced an expansion of its 4K content—but many of those offerings come with a price tag ranging from $3.99 to $15.99 per movie. Paying for a premium service may not be enough. 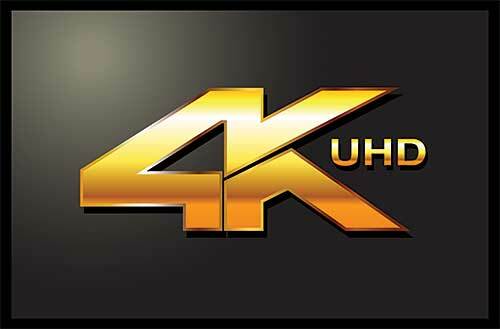 Moving to a media environment largely dependent upon OTT means that for UHD 4K you are essentially ditching cables or satellites, and putting all your trust into internet bandwidth—which, as of right now, is not up to the challenge. A recent Streaming Media study found that bandwidths issues are one of the top technical challenges for OTT providers today. UHD files are enormous, and transferring the video files to consumer devices requires a much bigger pipe—ranging from 15Mbps to 25Mbps (read: a more expensive internet connection). It also needs to be maintained consistently during a one-hour show in an internet environment that does not afford any type of quality-of-service like the cable TV broadcast environment does. This is especially true if most of your viewing is conducted during primetime viewing hours. Netflix publishes its monthly ISP Index showing that consumers average broadband connectivity ranges during peak hours between 1Mbps and 3Mbps in the United States. Then, even if you bought more bandwidth, the in-home congestion from your connected TV or other media streaming device, laptop, mobile devices, and shared Wi-Fi/LAN connection is a concern. They all compete for the same bandwidth at the same time. There are many obstacles constraining the consumers’ ability to enjoy 4K movies in their homes: Content producers, online distributors, CDNs, ISPs, the home networking environment, and the TVs, tablets, and other media streaming devices at the end-point. All do their best to improve the consumer experience, and recently even TV manufacturers have found ways to improve internet throughput and playback experience with new technologies. But, a number of issues still need to be worked out before we reach 4K video viewing Nirvana. The explosion of content and linear TV alternatives can be a boon to consumers. We just need to make it easy for them, and make sure that they can get the quality they expect without having to jump through a lot of hoops, as they don’t really care who calls the shots in standards.